Sometimes you should trust the multi-platinum selling writer, producer, and singer. Maybe he knows what he’s talking about. No diggity. No doubt. Teddy Riley co-founded the R&B vocal group, Guy, in the late 80’s, and the trio immediately sold millions, but broke up after releasing only two albums. Riley, one of the architects of New Jack Swing – the hot R&B sound of the early 90’s – also scored hits working behind the scenes with Keith Sweat, Bobby Brown, and Michael Jackson. 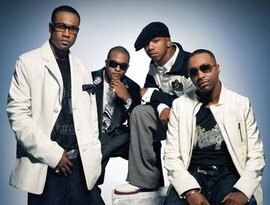 But Riley still wanted the spotlight, wanted to tear it up and rock it down on a stage, so he co-founded another group, BLACKstreet, who released their first album in 1994. They also immediately scored a number of hits, and it looked like Teddy Riley could do no wrong. However, despite all the gold, he would soon find out that not everyone believed in his Midas touch. Around this time, the members of Guy started working on a reunion. Riley had a song based around a sample from Bill Withers’ “Grandma’s Hands” which he thought would fit the group well, but things didn’t go smoothly when he played it for them. They refused to even consider it. No problem. He had another group waiting in the wings, right? But his fellow members in BLACKstreet hated the song, too, and weren’t shy about expressing their feelings to its writer. So when they finally, reluctantly, did get around to recording the track, Riley took the lead vocal. And if your own group isn’t thrilled about singing your song, then you bring in one of the hottest rappers in the world at the time, Dr. Dre, to drop the verse and lay down some fly rhymes. Riley protégé, Queen Pen, took the final turn. And when it was done? East side to the west side, it took off. 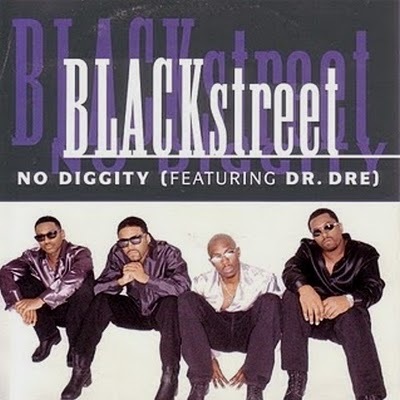 When released as a single in the fall of 1996, “No Diggity” went straight to #1 on just about every US chart except country. It seems Riley’s touch was true. It’s good to be the King. No diggity. No doubt.